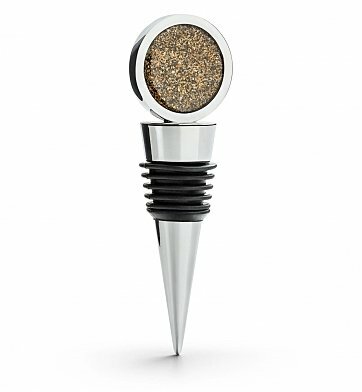 One Wine Stopper featuring Your Chosen Sand. Specific sands may become unavailable at any point. Dune Jewelry reserves the right to update and discontinue sands as necessary. Wine Stopper Measures 3.5" L.
Artisan Wine Stopper with Custom Sand is a hand delivered gift. These gifts are delivered by one of our local design centers located throughout the United States and Canada. Same day delivery is available for most gifts when ordered before the cutoff time. The cutoff time for Artisan Wine Stopper with Custom Sand is in the recipient's time zone. Stainless wine stopper holds a pendant filled with sand from your chosen location.